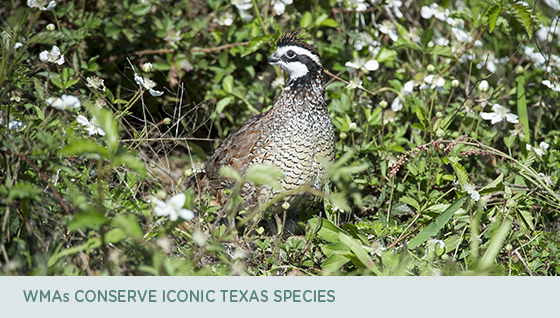 Wildlife Management Areas (WMAs) across Texas are devoted to research, demonstration of proven wildlife management techniques and conserving the natural habitat that the wild things of Texas need to thrive. They also provide public hunting opportunities. Now, thanks in part to Texas Parks and Wildlife Foundation, there is another WMA on the landscape. The 5,458-acre Roger Fawcett WMA in Palo Pinto County is one of the best remaining examples of Cross Timbers habitat left in the state. In the future, wildlife research and habitat restoration will take place here and will help Texas Parks and Wildlife biologists better manage the land for wildlife. From Texas horned lizards to bobwhite quail and white-tailed deer, the Roger Fawcett WMA conserves the wild creatures we all treasure. TPWF members support projects like this one. You can, too, by becoming a member today. 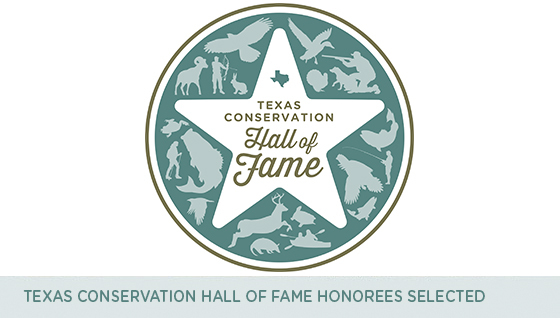 Two renowned South Texas conservationists, a legendary philanthropist from the Panhandle and Operation Game Thief (OGT) have been selected as the 2017 inductees into the Texas Conservation Hall of Fame. Tio Kleberg and Dr. Fred Bryant are being honored for their groundbreaking conservation work as individuals and with the Caesar Kleberg Wildlife Research Institute in Kingsville. Wales Madden, Jr. of Amarillo is being recognized for his more than five decades of philanthropic work on behalf of Palo Duro Canyon. The OGT program is being honored for its steadfast support of Texas Game Wardens. Their accomplishments will be celebrated at the Texas Conservation Hall of Fame Dinner in Austin on April 6, 2017. You can support the Texas Conservation Hall of Fame and the work TPWF does to support the wild things and wild places of Texas. A new foundation has been launched to ensure the people of Texas will always have abundant and healthy fish and wildlife populations to enjoy. 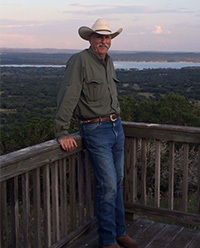 Dr. Fred Bryant is the new president of the Texas Foundation for Conservation, which is committed to supporting the North American Model of Wildlife Conservation, the most successful conservation model in the world. 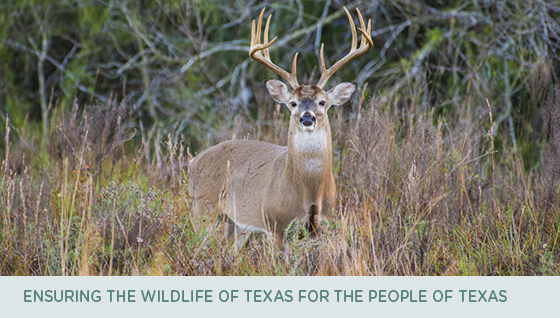 Recent threats to privatize wildlife in Texas have galvanized the effort to inform and educate people about the North American Model and the public trust doctrine, which is a cornerstone of the model. Dr. Fred Bryant is the longtime and well-respected director of the Caesar Kleberg Wildlife Research Institute at Texas A&M-Kingsville. This month's TPWF podcast features a conversation with Bryant. 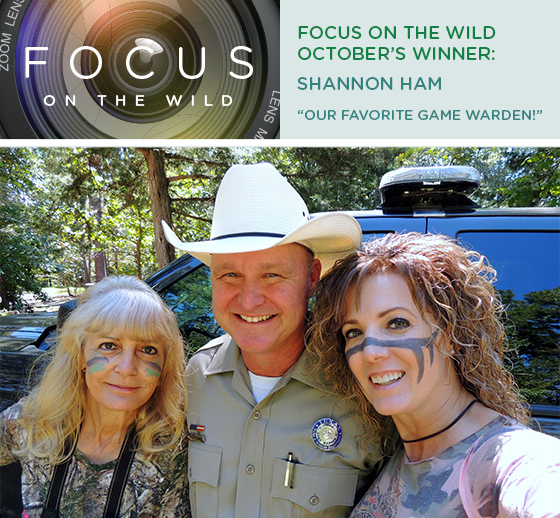 Congratulations to Shannon Ham for taking a selfie with a game warden (and her mom) for our photo contest! Shannon and her family hunt and take photographs in the Davy Crockett National Forest in East Texas. Her family owns a camp house that borders the forest and they share many great times together. Ham learned about the photo contest and told her mom, who ran into Warden Lehr during archery season. He made good on his promise to stop by the camp house the following day, and Ham captured the winning selfie. She also scored a fabulous prize from McBride’s Guns: a stainless steel Browning X-Bolt Rifle 300WM with a walnut stock. Congratulations, Shannon! We’re wrapping up this year’s contest with our November theme: Life’s better outside with your dog! This is your last chance to enter a photo for a chance to win, and maybe have your photo appear in the Texas Parks & Wildlife Magazine. From a hunting trip with your bird dog to a hike in a favorite state park, a canine companion is an enthusiastic partner for any outdoor adventure. Send us a photo with your dog enjoying the outdoor life! Remember that if you are in a state park, your dog must be on a leash. To have a chance at winning, be sure your photo fits the theme and is submitted by the 25th of November. Make sure you follow state park rules related to pets, and be sure to check rules specific to the park you plan to visit. Texas Parks and Wildlife Foundation © 2016 All rights reserved.